Sally Hawkins in “The Shape of Water.” Photo by Kerry Hayes. © 2017 Twentieth Century Fox Film Corporation All Rights Reserved. We’re exactly a month away from the December 8 theatrical release of The Shape of Water, the latest offering from filmmaker Guillermo del Toro. Billed as an ‘adult fairy tale,’ this R-rated fantasy tells the story of mute janitor Elisa (Sally Hawkins), who encounters a mysterious amphibian man (Doug Jones) in the secret government facility where she works. The first Guillermo del Toro movie I ever saw was Pan’s Labyrinth. Instantly enchanted, I tracked down his previous films Cronos and The Devil’s Backbone, and have followed his career with enthusiasm ever since. This summer, the stars aligned and I found myself researching and writing a lengthy article on del Toro’s new aquatic fantasy, which you’ll be able to read in our next issue, Cinefex 156. In many ways, The Shape of Water was the perfect partner to my other article for this issue, Thor: Ragnarok. My list of interviewees was much shorter, for one thing. Whereas my Thor story was all about multiple visual effects vendors working together to forge a monumental epic, the much smaller scale of Shape allowed me to focus on just two companies – Legacy FX and Mr. X. 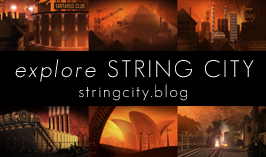 Yet through both stories ran a common thread – collaboration. The more I talked with the teams at Legacy and Mr. X, the more I understood that the story I needed to tell was the story of how they had joined forces to bring the amphibian man to the screen. It turned out to be a pretty great story, one that celebrates the happy marriage between Legacy’s beautiful creature suit and makeup effects, and Mr. X’s subtle digital craftsmanship. At a stroke, it debunks the tiresome argument that inexplicably rages about the relative merits of practical and digital effects. From the top down, the filmmakers chose simply to use whatever technique best served the shot. The result is a seamless blend that defies you to work out how it was done. When you’re writing about a Guillermo del Toro film, it isn’t enough just to speak with the artists involved. You have to get the man himself. An accomplished artist himself, del Toro is the driving force behind every creative decision on the films he makes. Luckily for me, he also reads Cinefex. Thanks to his support, and the tireless work of the Fox Searchlight publicity team, I ended up chatting with Guillermo on the phone for around 40 minutes. He was just as charming and insightful as I’d hoped, and his voice comes through loud and strong in the final article. Another interviewee was special effects supervisor Warren Appleby, who delivered on-set gags and a wealth of atmospheric effects. Unusually for Cinefex, I also spoke to one of the actors. If my story was all about bringing the creature to life, how could I not interview the guy inside the suit? The guy in question was Doug Jones, currently playing the alien Saru in Star Trek: Discovery and the man behind many a movie monster from the Faun in Pan’s Labyrinth to Abe Sapien in the Hellboy films. Doug was an absolute delight and – what do you know? – turned out to be yet another reader of our magazine. I’ve already confessed that I’m a big del Toro fan, and having seen The Shape of Water I’d have to rate it as one of his best. That I got to see it while writing my article was a tremendous help. Again, that’s down to the Fox Searchlight team, who arranged a screening for me in central London – just me, one other journalist, and an affable security guard who sat at the back of the otherwise empty theatre making sure we didn’t whip out our phone cameras and point them at the screen. The only downside was that I had to suppress my enthusiasm when the time came to put down words on paper. At Cinefex, objective reporting is the order of the day. We don’t offer reviews or opinions. We just give you the facts, ma’am. 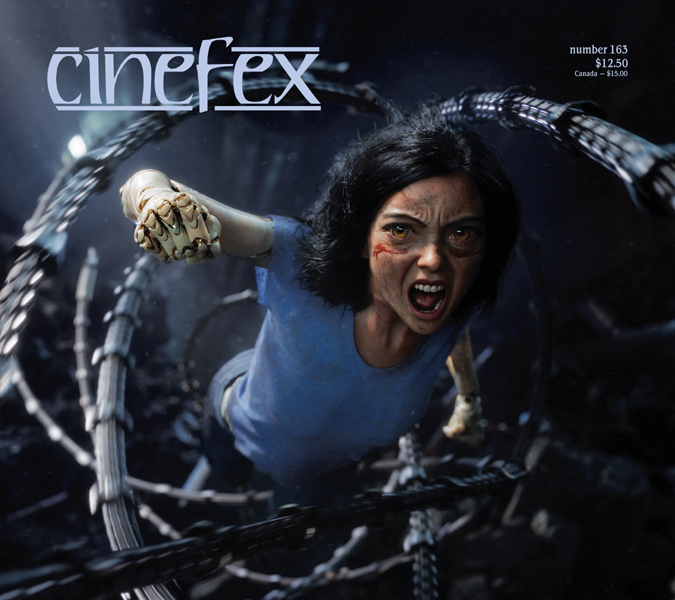 You’ll be able to read the full story of how Guillermo del Toro’s amphibian man made it to the screen in Cinefex 156. The magazine will be on newstands December 15, just a week after the theatrical release of The Shape of Water. Also in this issue is my article on Marvel Studios’ Thor: Ragnarok, Jody Duncan’s stories on the horror smash It and firefighting drama Only the Brave, and Joe Fordham’s report on the runaway success Wonder Woman.